Selling Gala is not a punishment. Selling Gala is not slavery. Selling Gala is an occupation. See, I love what I do. I enjoy selling Gala. Most of you types, you walk up to us in markets and we hear you on television and radio; “Stop hawking in the streets. Stop selling Gala” and yet, you’re the same people who patronise us. What sort of hypocrites are you? What do you know about selling Gala? What do you know about these roads? My name is Emeka. I’m a humble person. My friends call me Mbaise One. And no, it’s not because I come from Mbaise nor because I’m some sort of top-notch gala seller. One day, I sold about ten Galas at the same time to a fat man driving an Audi 80 and Wasiu that sells Fan-Yogo, laughed and said “Hmm..Mbaise One!” And the name stuck. Till this day, I don’t know why they call me that name. I am, a top-notch Gala seller all the same. Anyway, my friends call me Mbaise One. And I sell Gala around Mile One in Port-Harcourt city. I don’t think there is any relationship. I wake up early every day, I go to the distributors, I collect three cartons of Gala, sometimes four, and then I return to Mile One. Most times, by the time it is 12pm, I have sold through about one carton and I’m half-way through the second one. Before 2pm, I’m through with that carton and the third one. I sell my gala very fast you know. Then, I take the money back to the distributors and collect my cut. Sometimes, because I’m so good, they give me some Gala also. I only sell Gala by the way, not Freshbite or Meaty or any of those other brands. I’ve been selling Gala for a long time, and I stick to what is good. I’m thirty-three years, but I don’t look a day over twenty-two. It’s necessary to look young in this business. People always buy from the young, but not too young, Gala seller. I remember when I was younger and living in the village. This was about seven years ago. There was no one, absolutely no one, faster than me in the whole of Awka. I was the last to leave for the farm at morning, but the first to reach it. Last to leave, but the first to reach home. I could walk the distance to the farm in less than ten minutes. It was a five-kilometer distance. On some occasions, I ran the distance. But it usually made me six minutes earlier, so I hardly ever. My body has always been lithe and strong. I can endure an almost constant strain to my body without breaking down. When I used to run to the farm, I do it most times with my hoe and cutlass in my hand, and the bag of corn we want to plant on my back. Yet, it never tires me. I think that’s what Mr Adolphus saw in me. Mr Ignatius Adolphus is my Oga. He is from Cross River state, but he has Igbo names. He usually comes to our village then to meet with one of his brothers. Sometimes, he carries some of us, the young men, with him to the city. If you decide to stay and work with him, you stay. But if you want to go back to the village, you can go. We all stay with Mr Adolphus. He’s a nice man. Mr Adolphus saw me running that day so many years ago. He saw me running very fast, carrying a load on my back and smiling at everybody on the way at the same time. I think he was impressed and astounded and happy. I think I must have looked like a good opportunity to him. Mr Adolphus gave my father and mother money and many good things, including a carton of Gala. I think, that was when I started to see visions of my future occupation. I was chewing and smiling happily, so I didn’t answer immediately. But he had his answer. And after that day I’ve never looked back. That was one of the first things he taught me. When I started, I used to sell Gala on East-West road. The road is very busy. Cars are always speeding to and fro on the express. When running after a car, especially if you have given them Gala and you have not collected money, if you hear a horn behind you, and you look back, that second may make the difference between you catching up with the car, or losing your money. It would also make the difference between your mistakenly getting crushed under a vehicle or surviving unscathed. Since I started the work, I have only seen two casualties. One was my friend from my village, Cletus, another Igbo boy. He looked back. I still feel sorry for him. The other was Wasiu. No, not Wasiu that sells Fan Yogo, another one. He tried to steal Mr Adolphus’ money and run. They found his body under the bridge at Oil mill junction. You see, Gala selling involves a technique. Not just anybody can do it. You need to smile at the customers all the time. You need to have change handy for any note, even N1000. And most importantly, when you see children in vehicles, you need to know how to catch their eye. Children are our best customers. Stay with the vehicle, even if the mummy says no. Insofar as the child says yes. I say a prayer for all those children who keep on pointing at the Gala even after their parents say no. GOD bless them. GOD bless them very much. When I collect my cut from the distributors, I carry it to Mr Adolphus. It is from Mr Adolphus I collect my own share. I have to pay to use his road to sell my gala. But Mr Adolphus is very nice. Sometimes he gives me extra money and food if I sell very well that week. On the road today, a young man walked up to me to talk to me about selling Gala. He said selling Gala on the road is bad. He said I am being trafficked by Mr Adolphus. Then he bought Gala from me and la Casera from Tumi. What does he know? I sold five cartons today. The Gala distributors gave me N2000 and two Galas. Mr Adolphus gave me N400 from that. See, I’m making gain. * I do not intend to err..slander any err..Igbo people. Adequate tribes were listed in this err..business. And err..selling gala on the streets is err..illegal. Refuse to buy from any hawker you see. Err..thanks. PS: I’m sure we’ve all heard about #SaveVincent. 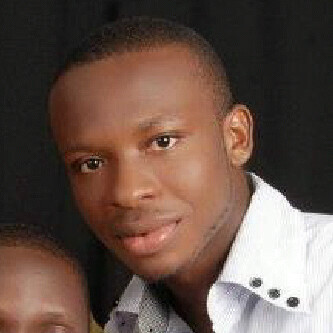 Nwokedi Vincent is a 600L student of Pharmacy in UNIBEN. He was diagnosed with leukaemia (Blood Cancer)/ haematological malignancy. He needs our help both spiritually,financially and otherwise. He requires the sum of N6m to help take him abroad for treatment. Please help save a life as a minimum of N50 donation, money for one Gala, would go a long way to help raise the needed money. The account for donations is VINCENT CHUKWUKA NWOKEDI. Acct no: 2100053461 Zenith Bank. God bless u. Do help and spread this message. Try and contribute where you can. Do your little bit and save a life. The picture of the young man is below this space. Thanks. Author Christopher AneniPosted on April 16, 2013 May 20, 2013 Categories cool story, RantsTags Adolphus, Emeka, Freshbite, Gala, Ignatius, Mbaise One, Meaty, Port-Harcourt, Trafficking, Vincent15 Comments on Mbaise One!